The timing of the PA intention to merge with Hamas may have caught many by surprise. But it was evident that Israel would not reach understandings with a Palestinian Authority headed by the intransigent Mahmoud Abbas, who refused to make a single compromise. In fact, even when the US pressured Israel into making unilateral concessions as a prerequisite to merely agreeing to negotiate, the response from Abbas was to raise new demands. In the context of the criminal society created by Arafat and maintained by Abbas, there is no ideological conflict concerning the future of Israel between the PA and Hamas. As Palestinian Media Watch has noted, Abbas says categorically: “There is no disagreement between Fatah and Hamas …About belief? None! About policy? None! About resistance? None!” Besides promoting cultures of martyrdom and sanctifying as heroes those engaged in killing Jews, both have generated the expectation amongst their people that the elimination of Jewish sovereignty in the region is a goal that will be achieved. There is merely a difference in tactics. The PA recognizes that it can achieve greater success utilizing diplomacy rather than terror as a means to destroy Israel in stages. To this end, Abbas speaks with a forked tongue: to the outside world, he denounces terror and commits to peaceful negotiations whilst internally he orchestrates vicious incitement, glorifying, feting and financially rewarding murderers of women and children, including the killers recently released by Israel. In contrast, the genocidal Hamas proudly proclaim their Islamic fundamentalism. They are in every sense the equivalent of Al Qaeda, having praised Osama bin Laden and condemned the United States for killing him. Not only does Hamas reject the existence of the state of Israel and pledge to bring about its destruction, their covenant explicitly exhorts followers to kill Jews wherever they may be. They are the pioneers of suicide bombings and take pride that they have launched over 10,000 missiles at Israeli civilian targets. 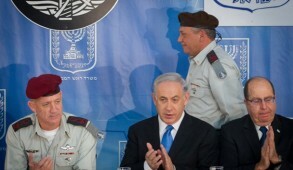 These war criminals will be the partners of Abbas in the new PA leadership. Ironically, Abbas has indirectly resolved Netanyahu’s internal coalition conflicts which threatened his government. 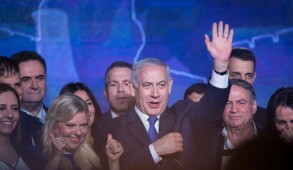 The Prime Minister’s announcement to the world that he would never negotiate with a group which incorporated the genocidal Hamas has reunited the coalition and would be supported by the vast majority of Israelis. 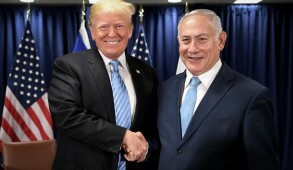 As anticipated, there was some criticism by the post-Zionist Israeli daily Haaretz which argued that the merger should be considered by Israel as a positive step towards achieving peace. However, its prime correspondent, Ari Shavit, did a remarkable turnabout and, instead of blaming Netanyahu, documented the duplicity of Abbas since the onset of the Oslo accords, noting that “Twenty years of fruitless talks have led to nothing. There is no document that contains any real Palestinian concession with Abbas’s signature. There never was, and there never will be”. Those who had hoped that under the leadership of Yitzhak Herzog , Labor would return to its traditional labor Zionist roots were disappointed in his lack of statesmanship. 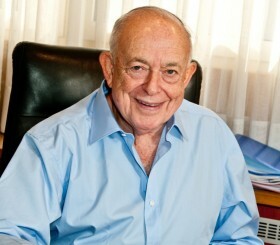 He blamed the government for the breakdown and alluded to possible long term benefits bringing Hamas into negotiations. One would have assumed that, under such circumstances, Western leaders would have an ethical obligation to condemn Palestinian intransigency and guile. Yet, despite being directly affronted by Abbas, the Obama administration failed to respond adequately even after their incessant pressure on Netanyahu to make unreasonable concessions. The State Department merely expressed “disappointment” and in subsequent remarks, President Obama referred to the PA-Hamas pact as “unhelpful” but still declined to condemn Abbas and once again blamed both parties for the breakdown. The Administration will now be obliged to review its relationship with the PA to conform with legislation by both houses of Congress which unequivocally prohibits the United States from providing financial support to terrorist organizations. Hamas is clearly classified in that category. The Palestinians currently receive more financial aid per capita than any other people and since 1966 received over $5 billion from the US alone. 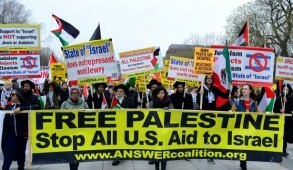 Rep. Nita Lowey (Dem) and Rep. Kay Granger (Rep) who head the House of Representatives Appropriations Committee have announced that they would be moving to defund the Palestinian Authority of its US aid package unless it annulled its pact with Hamas. They were supported by Rep. Ileana Ros-Lehtinen, the Republican Chair of the Middle East and North African Subcommittee who had framed the 2006 law banning funding to Hamas. Yet despite this, I predict that Israel will soon again be facing renewed pressure from the Obama Administration. Catherine Ashton, the EU foreign policy head , who issued a Holocaust Memorial Day press release some months ago which adroitly omitted any reference to Jews, unequivocally welcomed the merger, blithely remarking that it would help promote peace negotiations. She omitted to mention that the EU itself classifies Hamas as a terrorist organization. The UN Middle East envoy, Robert Serry, blandly stated that he was assured that a merged PA Hamas entity would remain committed to peace and that the UN welcomed the reunification of the West Bank with Gaza “under one legitimate Palestinian Authority”. Abbas is assuring the world that Hamas agrees to the conditions laid down for its legitimization– accepting and recognizing Israel and abandoning violence and terror. Yet Saeb Erekat, the PA spokesperson, stated explicitly, only a few days ago in a Sky TV interview in Arabic, that Hamas is not obliged to recognize Israel and that “Hamas is not and will never be a terrorist organization to us”. In a further cynical effort to dupe Western public opinion, Abbas – whose Moscow doctoral thesis promoted Holocaust denial – had the gall to release a message on the eve of Israel Holocaust Remembrance Day describing the Shoa as the “the greatest single tragedy in modern-day history” whilst simultaneously embracing those who openly exhort their followers to complete the Nazi Final Solution. There are already mutterings that Israel should agree to negotiate and seek to “coax” Hamas into becoming more moderate. Yet, if Hamas were to be accepted as a negotiating partner, it must formally recognize Israel, renounce terrorism and publicly annul its charter which calls for the murder of Jews. Furthermore, the leaders must accept all previous agreements negotiated with the PA and relinquish their stockpile of rockets obtained from Iran and other sources. If Hamas agreed to this, they would qualify as a peace partner. But pigs will fly before that happens. In the meantime, Israel cannot negotiate with a PA led by active terrorists and war criminals committed to its destruction. This is the time for the government to launch a passionate global campaign to disseminate the truth. The PA- Hamas union is still far from implementation. The personal hatred between the leaders remains intense and the negotiations could fall apart at any time. Israel would again face renewed pressures to make further concessions to the “moderate” Palestinians. As of now, our case can be presented in absolute black-and-white terms and we should maximize this opportunity. The government must rally all the resources of the Jewish people including the Foreign Ministry, the Jewish Agency, global and national Jewish organizations and Jewish personalities and all friends of Israel. The Prime Minister should consider convening a global conference, along the lines of the successful gathering inaugurated by the Shamir-Peres national unity government which invited Jewish and non-Jewish friends of Israel to Jerusalem to demonstrate solidarity with the Jewish state. Ideally, this should precede the UN General Assembly convening in New York in October – which the Palestinians will undoubtedly seek to transform into a bigger than normal hate fest against us.